I had a message from Uganda today that Josephine died last night. Neighbour helps Josephine wash her hands before we have afternoon tea. Josephine Apoo was a woman whom I met last time I was in Uganda in the remote community of Olimai. 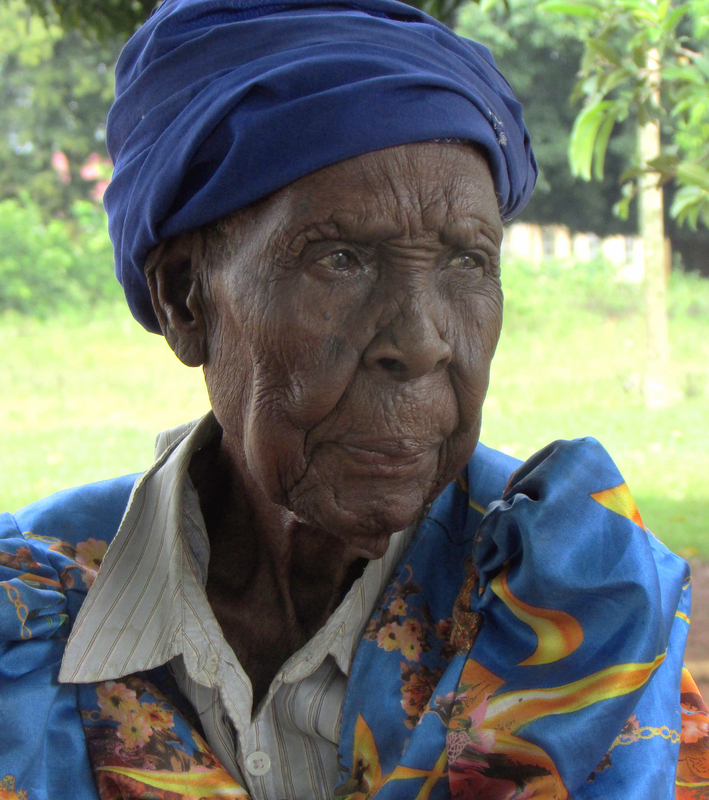 No one knew exactly how old she was but she was well over 100, perhaps as old as 110 – remarkable in a country where the average life expectancy is about 60. “She was here when people ran around wearing no clothes at all,” I was told. The stuff of which early African stories are made. Her neighbours were always looking out for her. She would join them for tea or a bit of food, walking with a stick from her house. We shared tea and some mango one bright October afternoon in 2013. The last time I saw her she was heading home into a brisk wind. A storm was threatening. She was pretty sturdy against the wind. The image of her heading into the wind, over 100 years old, still being strong and independent is one that I will never forget. My friend in Uganda asked that I join them in celebrating her life. Worth celebrating, indeed. My condolences to her many loved ones in Olimai. I feel privileged to have met her. Josephine – October 2013. Died March 18, 2014 at well over 100 years old. Olimai, Uganda. This entry was posted in Uncategorized and tagged celebration, johnageddes, Josephine, Olimai, Uganda by johnageddes. Bookmark the permalink.